The 2018 Volvo XC40 SUV was supposed to get fully unveiled on September 21. 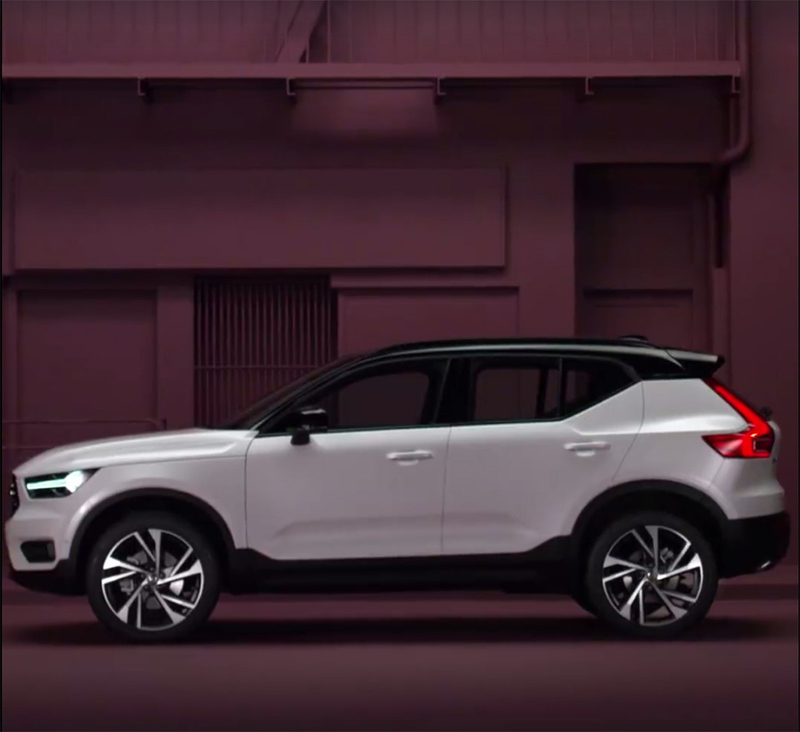 A teaser trailer has surfaced that wasn’t supposed to fully reveal the SUV, but somehow Volvo Hungary managed to post up the version of that trailer that gives up all the goods on the coming SUV. The images here were grabbed from that video. The XC40 does look more sporty than Volvo usually makes its SUVs. What we can tell from these images is that the styling looks a lot like the Volvo 40.1 concept that turned up last year. It does have normal rear handles on the doors rather than hidden handles that the concept ported. Volvo has said that it wants the interior of the XC40 to be practical and functional. To maximize the functionality of the interior, one of the things Volvo’s designers did was move the speaker commonly found in the door elsewhere. This allowed more space in the door panels to hold items. A compartment in the doors holds a laptop and a tablet, most door panels struggle to hold a bottle of water. You can store a pair of bottled waters in the doors rather than the laptop and tablet I needed. The XC40 is the first Volvo to be built using the company’s Compact Modular Architecture shared with Geely, the owner of Volvo. One thing that isn’t clear from the video is what engine the XC40 will use. Volvo has stated that one of the engines that will be offered in the XC40 is a 1.5L three-cylinder turbo gas engine and that 4-cylinder Drive-E engines will power the faster models. It’s not clear if that small 3-cylinder will come to the US. We did get some inside details on the XC40 earlier this month and while it’s smaller than Volvos other offerings, it will still be very safe.